The call of Alaska is undeniable, from crackling glaciers rising from cobalt waters to the curious sight of brown bears pawing at rocks in search of their next meal. More than 70 years ago, Holland America Line set sights on this celebrated land and has been sailing here longer than Alaska has been a state! Discover how you can benefit from enduring connections when you venture to The Last Frontier. EXC Tours™ ashore bring you even closer to the land, where you can let your personal passions guide you each day. Soar by helicopter to touch down on a glacier where a dog-sledding pack is awaiting your arrival. Soak up the summer sun while joining a select few to encounter Mendenhall Glacier by canoe. Or introduce young explorers to new perspectives as you stroll through a native village or follow in the footsteps of Alaskan pioneers to pan in gold-rich waters. Enjoy rare perspectives of Glacier Bay National Park — where conservation rules allow only two ships to enter the bay each day during peak summer months. Catch your breath in awe as you pull up for a front-row view of a tidewater glacier; a long-lasting partnership with the Huna people reveals native stories in indigenous voices; and a park ranger arrives by your side to point out marvels like enormous seals hauled out on rocks and a bald eagle soaring overhead. As one of the first in Alaska, Holland America Line forges enduring connections to enrich your experience both on board and off. Tap into the experts at BBC Earth as on-air hosts and behind-the-scenes crew join select voyages, while other cruises feature fun-filled trivia and kids programs. 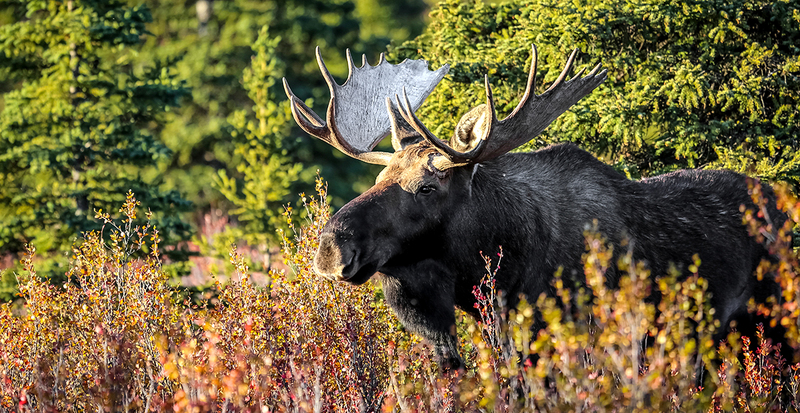 Partnerships in Alaska’s national parks give you more time in Denali than any other cruise line — allowing you to explore everything from casual entertainment in Denali Square to an in-depth Tundra Wildlife Tour. Be tempted by the beauty of Alaska on land and sea in the video below. We’ll arrange your Holland America Line voyage or reserve one of 16 Land+Sea Journeys in Denali and the Yukon.